I know there is lots of information out there about vBlocks and whats in them, but has anyone actually seen a picture? 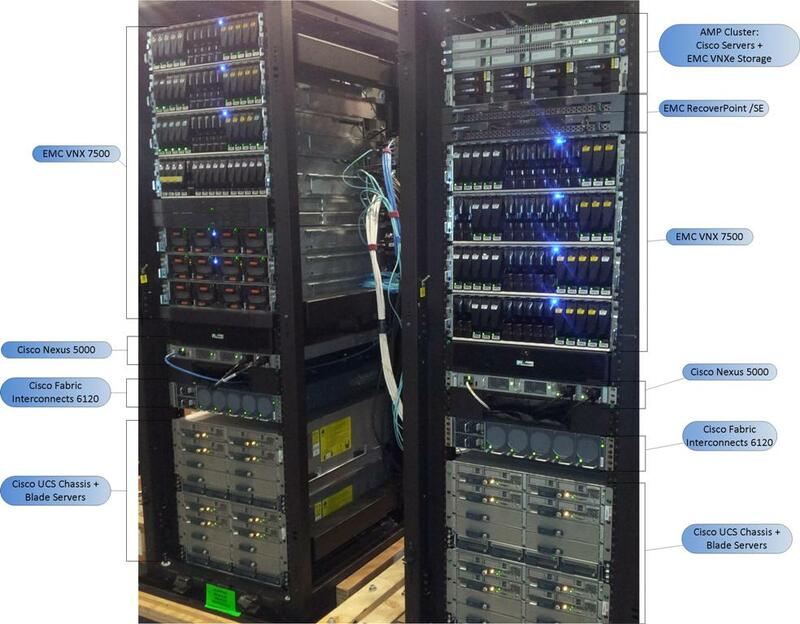 Shown below is a built vBlock, showing all the main components including Cisco UCS Chassis + blades, Cisco Fabric interconnects, Cisco Nexus, VNX storage, EMC Recoverpoint/SE for IP replication and the AMP management cluster with 2x Cisco rackmount servers + separate shared VNXe storage. This hosts all the management software, including VirtualCenter, VUM, Array Manager, UIM, SQL, etc.